After my first evening out in the ever-beautiful Athens, I came home to check on my blog like I always do. I found that I had quite a bit of traffic coming from one particular URL. But, as always, I hoped that someone had maybe mentioned my blog's name. With that, I rolled over and fell asleep, only to soon realise that my pure and innocent thoughts couldn't have been further from reality. The next morning rolled around boasting freshly made breakfast, courtesy of my yiayia, or granny in greek. The new day promised a day frolicking on the beach and exposing my vanilla-coloured skin to the ultraviolet rays and vitamin D it so needs. As I always do, I checked my blog. My eyes crossed paths with that URL from the night before that continued to bring me traffic overnight. Expecting to see a 'shoutout' I clicked on the blog. In a click of a button, my intended plans for the day ahead shifted. Call it what you like: captured, hijacked or copied. But, I'm going with stolen. 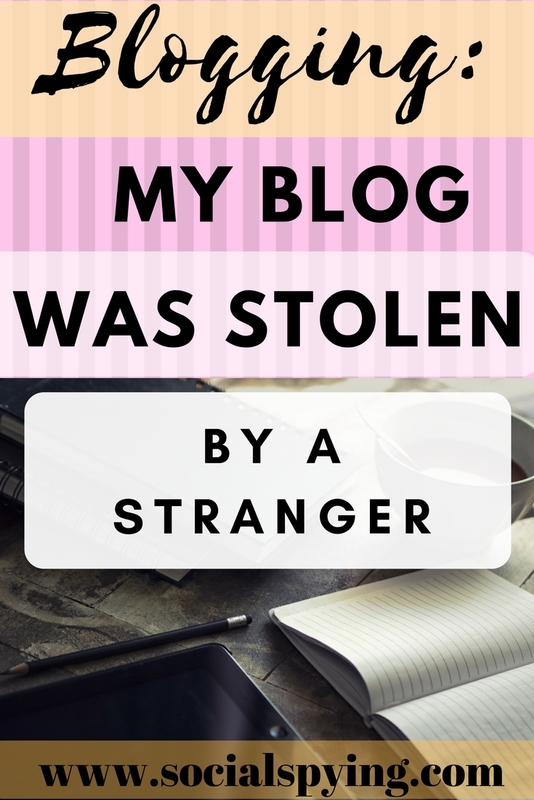 My blog was stolen. As a kid, I loved playing a game called 'spot the difference'. I think now's a good time to play. HINT: There aren't many differences. Same photo different name. I'm 100% the person in that photo is me... unless something is seriously misaligned with the world. 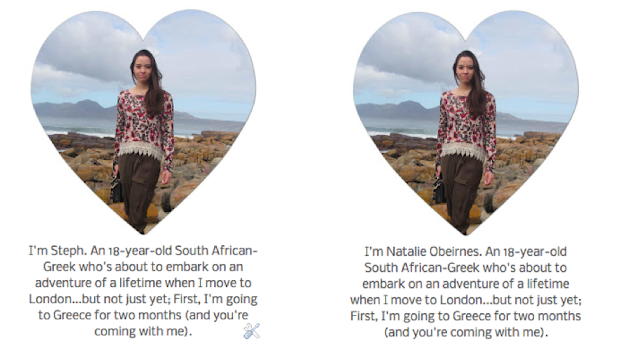 I think anywhere I put my name is automatically changed to 'Natalie Obeirnes'. Out with the old and in with the new. My blog copy cat removed my email address from my 'contact' page and put theirs in. The top header is my blog's copycat. The lower one is the original. I wish I could tell you what the purpose of all of this has been. If it has been to piss me off, mission accomplished. So, I didn't quite get that blogger 'shout out' I was hoping for...maybe it's about time I lower my expectations. 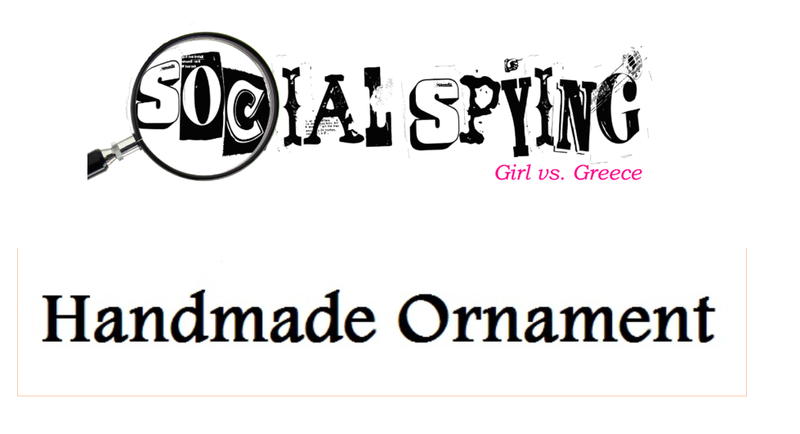 As of right now, any changes I make on my blog reflects on the copy cat's side too. My IT-god of a brother has contacted the copy cat's hosting site to get it taken down. I've also filled in a DMCA infringement notice with Google. But, I think as for now, it's a waiting game. The copycat created the site on 5 June 2017. So, its been running for a while without my noticing. I also emailed 'Natalie' with a threat... although I doubt much will come of that. Social Spying is surrounded by an incredibly compassionate group of people. If anything, this shenanigan of yours has only brought this out more. The love, care and consideration shown to me in and amongst this confusion has been overwhelmingly positive. So, thank you for highlighting that to me. I am so incredibly proud of this space; I have truly put everything that I have into it over the last year or so. I am so proud of every letter on its pages. Inscribed in Social Spying is passion, care for people, a celebration for all aspects of life and community which I have no doubt you noticed and wanted for yourself. Well, this blog and its community will forever hold honesty and openness at its cornerstone. Your intentions for Social Spying are unclear. But, I think it's safe to say you failed. Social Spying will always be ours; As long as it's my name in that bio, this space will always be for the people who read and enjoy it; The people who seek refuge in its words and find a companion in me. It's ours. And you're not included. 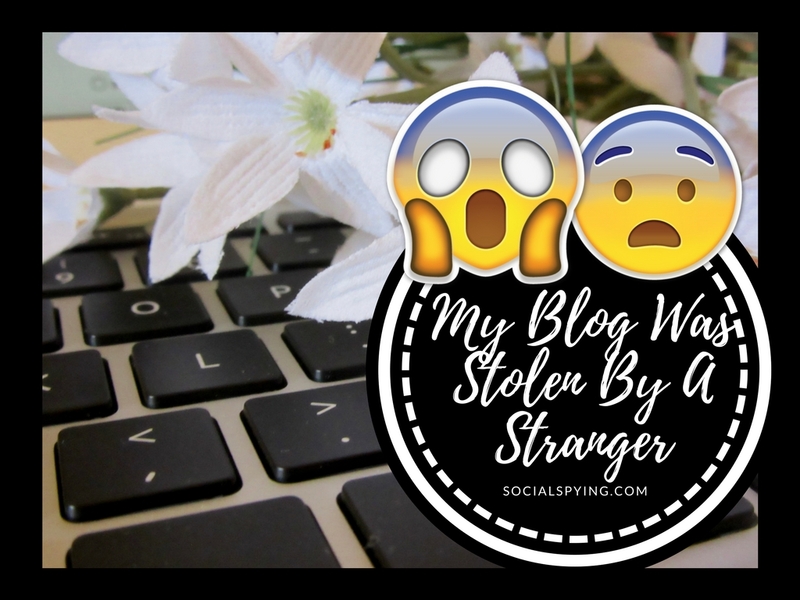 As I work tirelessly behind the keyboard to take down the copy cat, I will update you on how you too can protect your own blogs and learn from my logistical weaknesses. Admittedly, I am part furious and part flattered. I'm always very pro-people finding inspiration from others, but, this is taking it 11 and a half steps too far. Thank you to all of you who have sent me messages of support. It's in instances like these that truly bring to light what an astonishing group of people I have come to befriend through this space. I'm so grateful for you. I don't plan on going anywhere. It's going to take a lot more than this to get rid of me. UPDATE: After filing several DMCA Take Down Notices, the site is still up. I have tried everything that I know to try but to know avail. After doing some research, it looks like a bot is behind the site, and not an actual human (don't you just love modern day technology?). The other site no longer takes my views or bothers me. I never found the help that I needed to take it down, so it shall remain up for the time being. 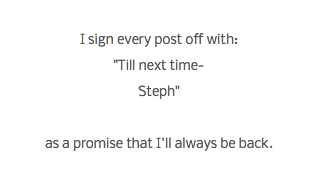 So sorry to hear this Steph, it's awful! Hopefully you'll get the copy cat site taken down ASAP! Unfortunately, nothing has happened yet, but I'm still working on it! Some people definitely have a lot of time on their hands. A LOT! I think it's sad how someone even figured out that you could do this. There are strange people in the world. Thanks! That's definitely the goal- the sooner the better! I'm so sorry! I don't get why someone would do something so terrible. I hope that the other blog gets shut down soon! As always, thank you, JG! Blatant is a very good word to describe it! Fingers crossed it all gets resolved soon. Thank you fro stopping by and reading, Laura! Oh my gosh, I can't believe that this happened to you! It's like something off Catfish! I can't understand why anyone would want to do something like that, so I hope she's learned her lesson from all this. Oh my goodness, I thought the EXACT same thing! I doubt this person has learnt any lessons, rather unfortunately. I'm sure they've done it before, and they won't hesitate to do it again! Thanks for your support, Olivia! Oh my goodness. This is absolutely terrible and scary... so sorry this happened to you but thank you for making readers aware. Hope you find this culprit! Scary is definitely the word. I even de-activated all my social media accounts (out of fear) a few days ago. Can I just say...Handmade Ornament is the WORST blog name ever. What is it? A Christmas blog? Good on you for not letting this get you down. And hopefully you can put an end to it soon. I thought the EXACT same thing. Maybe they're preparing to get rid of my blog and get ready for Christmas. That would actually be great for me, because it means my blog won't be there anymore! I love blogging too much to stop- and who knows how long I would have had to stop before the site gets taken down! I wasn't about to sit around and find out! 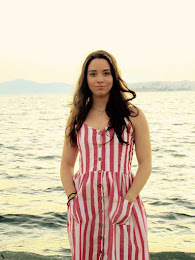 I feel very bad because it happened to you, you know that your blog is one of my favourites! Hope that you can solve it quickly, if you need me, I can help you to report it! AW, that is so lovely of you, C! I have reported it. I'm just waiting for a reply now! I really appreciate your kindness! I can't believe someone would actually do this. What is wrong with people? I'm so sorry to hear this. There are some crazy people out there with non-conventional intentions and a lot of spare time on their hands. I'd love to find out who it is, but I think the internet is too much of a dark and scary place to ever find out, unfortunately. Oh my gosh, That is so weird! I honestly wonder why the copy cat did that, There wasnt that much they would get out of it, It's just mean and of course you would've found out. The copy cat has EVERYTHING. It's honestly one of the scariest things that has ever happened to me! Apparently, similar copy cats do this for page views. I'm not sure how though! Thanks for being creeped out with me! I appreciate the moral support! This could be a completely different person...and no one would ever know it! HAHA! I did have my doubts! I was ready to lock up shop and call it a day. I'm still panicky, confused, annoyed, tired and impassioned to fight on! I have reported it...which only half worked. It's rather frustrating...but I fight on! It's not even the last think that one thinks of- one usually doesn't even think of it! I appreciate your kindness and support! I'm so sorry! That is so scary, I hope this is dealt with as soon as possible. It doesn't look like it's going down anytime soon. I'm unable to file another DMCA Takedown notice. So, I'm kinda in limbo right now. I'm hoping when I get to uni I can find someone in the computer department to help me out! This is so bizarre and creepy. Hopefully the fake site gets taken down ASAP and stops stealing your content. I really hope so! I'm continuously aggravated by it (but working on it). I know right! Tough thing to deal with whilst on a vacation! I'm not sure if it's actually a person or a bot. I'm not quite sure what they're trying to do, either. It's really rather annoying and confusing! That is sooooo scary and creepy, I can't believe people would stoop so low like that! I hope you get everything fixed and never experience this again. Back on one of my older blogs, I noticed this particular IP keeps on visiting my blog for hours on ends, multiple times a day. I eventually blocked that IP from coming to my blog because it creeped me out - only to discover that this person used an IP blocker to try to access my blog again. I'm starting to find that people on the internet can be very creepy with ulterior motives! What happened to you sounds very concerning too! I would also be concerned by that sort of activity on my blog. At least you had enough computer savvy to put an end to it! I wouldn't know what to do! Oh, this is a whole new level of insanity. You poor think! I'd be so crazy annoyed tbh. I was really angry and demotivated. 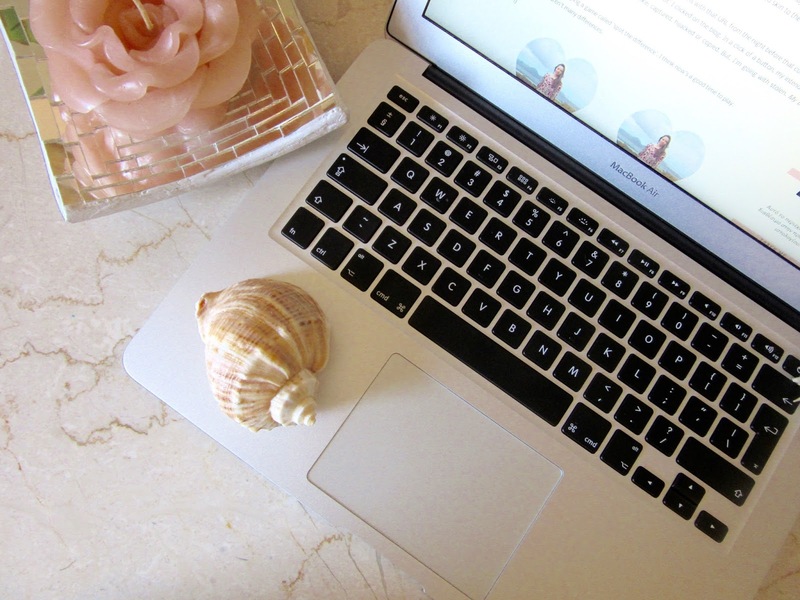 But, my passions for blogging championed me through. It is utter insanity though! Haha, we can curse the bot anyways! Thanks so much. I've learned to live with it. Thanks for stopping by and leaving a comment! I hope you enjoyed it! It still puzzles me- but luckily, it doesn't really bother me anymore! At the time though, it nearly stopped me from blogging!